We couldn’t agree more. Already we’ve been digging into this calm, cool, playful color – and, we admit, it’s definitely lightened the mood and helped curb some of the holiday chaos. We’re all about a pop of color at home. Whether it’s a coral throw pillow, blanket or, even, an on-trend wall hanging (coral juju hats, anyone? ), there are countless options for integrating this warm, friendly color into your space. And if you want to take things even further? Check out the seven paint matches, all readily available at your local home, DIY or big box store. Add an accent wall, makeover a small space or bathroom or, simply, refinish a piece of furniture and you’ll instantly have a cool new addition to your space that’s fresh, upbeat and totally on trend. Given how versatile and universal coral is, it’s no surprise some of our favorite gifts come in this dynamic color. Customize a set of Full-Color Ray-Ban Style Sunglasses and opt for any one (or more…) of the 15 colors available, including coral. Looking for something that will be used around the office? Our Full-Color Vibrant Retractable Gel Pens are perfect, available in 12 coral plus 11 other shades. 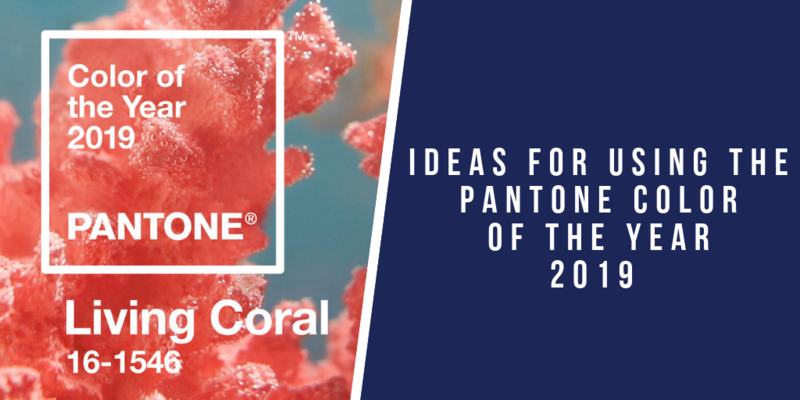 Coral has long been a popular go-to for fashionistas – and with good cause. Not only is it a rich, beautiful color, but it’s easy to wear, regardless of your style or skin tone. In fact, the Spring 2019 runways were packed with coral hues, including everything from gowns to camisoles to vacation-approved maxi dresses. And if your budget isn’t runway-ready? Coral has increasingly trickled down to boutiques, department stores and mass retailers – we’re loving this pop of color in everything from cords to cardigans to hats, gloves and scarves. That, though, is just the beginning. Now that Living Color has taken the top spot, it’s only a matter of time before accessories and wardrobe staples will be hitting the shelves in this must-have hue. Looking for the perfect gift in the perfect color? Get in touch with our expert team to explore coral premiums – and more.